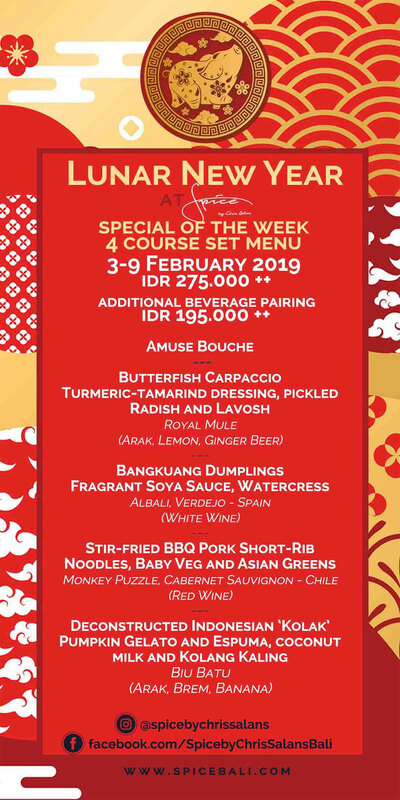 In celebration of Chinese New Year, Spice by Chris Salans will be offering a Special of The Week 4-Course Set Menu, served all day, on 3 – 9 February for Rp275,000 ++. Additional pairing with Indonesian and imported beverages is Rp195,000++. Come enjoy the festivity of this happy holiday!